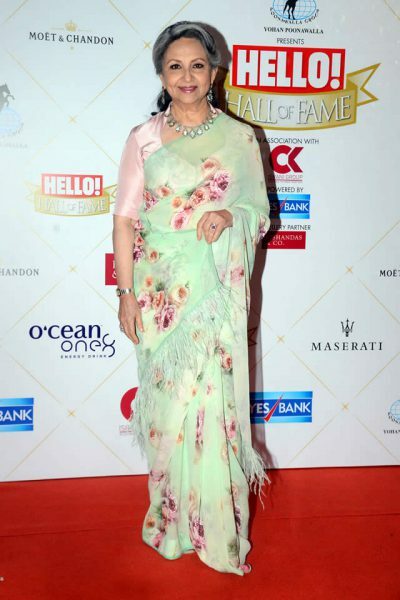 The Hello Hall of Fame Awards 2019 held last night saw a bevy of Bollywood stars descending on the red carpet and eventually adding a lot of glamour to the evening. From Ranveer Singh, Sonam Kapoor to Vicky Kaushal, Katrina Kaif, Janhvi Kapoor, Ayushmann Khurrana and many others, the event was a starry gala that will be talked about all day tomorrow. Farhan Akhtar and Shibani Dandekar made heads turn with their joint appearances. Their chemistry on the red carpet was not to be missed. Black was the dominant colour, but few like Sonam Kapoor, Katrina Kaif and Janhvi Kapoor broke the monotony adding a splash of colour with their gowns. While we will get you all the goss that we lay our hands on, let us take you through who wore what.